This year audiences are being treated to a double-dose of Disney, as 2016 sees two releases from Walt Disney Animation Studios hit the big screen. Coming in to this year, it was hard to shake the feeling that of the two Ron Clements and John Musker's Moana was going to be the one to beat. Now that Zootopia has been released though, it's clear the Polynesian princess has quite a mountain to climb if she wants to be the year's top 'toon. 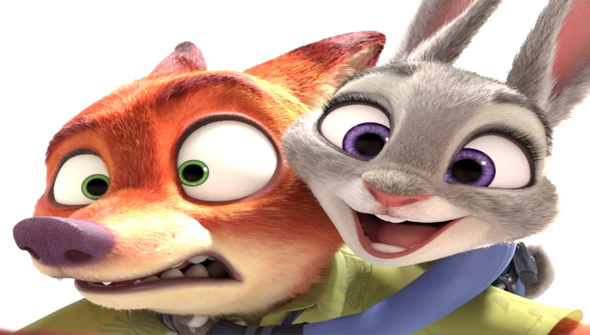 Rich Moore and Byron Howard's fuzzy buddy movie- also known as Zootropolis in the UK and some other markets- has passed $800 million internationally, including more than $270 million in the US alone. This puts the film as the biggest film on 2016 so far globally, and is already the second biggest WDAS release overall (excluding re-releases). More generally it's currently the sixth biggest Disney animated release of all time, and the fifth biggest original animated release overall. It's also become the biggest animated film to date in China, beating out Kung Fu Panda 3 for the crown. The film was only released in the US just over a month ago. Could it even be on course to beat Frozen? Also in Zootopia news, this week saw the release of a must-watch documentary on the making of the film. Imagining Zootopia is a 47-minute insight into the production of the film, with some pretty impressive access to the production. It's very honest and upfront look at the challenges faced in making the story work. Particularly fascinating is the revelation that at one point in the story, the predators were made to wear collars to keep them in line. It also demonstrates how the creative team looked into the effects of stereotyping, prejudice and bias, one of the film's most important themes. It's a fascinating watch and you can check out below. It should be noted that this artfully avoids spoilers and can be enjoyed whether or not you've seen the finished film or not.